Once again, I am linking up with Eat Pray Run DC, You Signed Up for What?! and Mar on the Run for the Friday Five Linkup. First off, make sure you wish Courtney a Happy Birthday over at Eat Pray Run DC! I LOVE this week's topic. My Five Favorite Fitness Tunes! I thought I would throw my own twist into it. I am going to give you my current favorite 5 songs with the word "RUN" in the title. 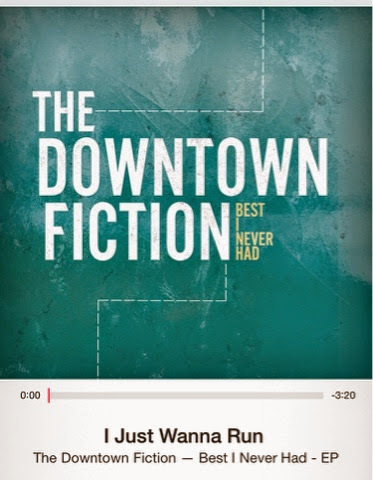 I start with one of my favorite running songs ever. It has the line, "I just wanna run" in it. What could be bad about that?! It may not be your genre but try it and see how motivating it is. Make fun of me all you want. 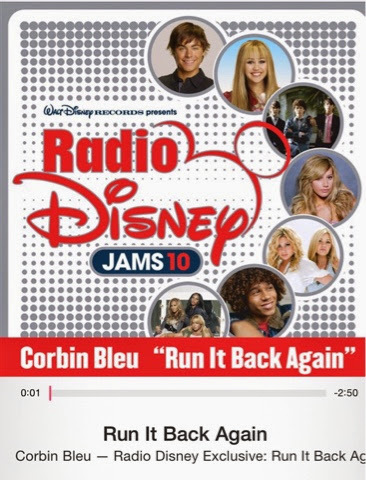 Yes, this is a Radio Disney exclusive. Yes, it might be the cast of High School musical or something but it is so catchy and it automatically puts a spring in your step. This one is an obvious dance party cross over into running music. 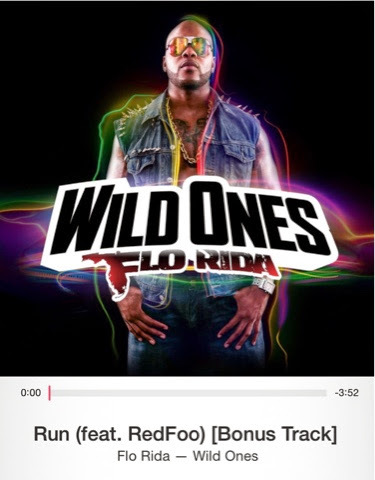 I like this one more than FloRida's others because it is not played 17 gazillion times on the radio. But again, it gives you an extra umph in your step! This one is not a dance type song. It's more of a "You can kick A$$" song. My favorite line is "Run as fast as you can because the world tries to stop you whenever it can." Seriously? When everyone tells you that you aren't fast enough, strong enough, dedicated enough - Just Run! This is another non-dance type song. But again, listening to it and running to it makes you feel pretty bad a$$. The gist of the song is that you run away from something you thought you wanted before. Like your dreams and goals are always changing and that's okay. Cool, right? 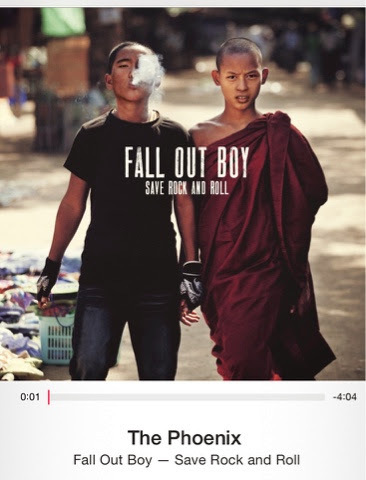 I love the entire Fall Out Boy - Save Rock and Roll album. It is so good for running. You can't really pick a bad song! So, go check out some of the other blogs on the link up and tell me, what are some of your favorite songs to run to? Do you have any of the above 6 songs in your running play list? And don't forget to enter this GIVEAWAY I have going right now (ends 10/21). LOL! I have different tastes. They're new to me too, though the Phoenix picture looks familiar. More to check out! You should check out the whole Fall out Boy album. Its great! These songs are new to me :) Good twist on the theme - very creative! Haha! Thanks! It is actually my search keyword when I look on iTunes. These are GREAT, Smitha! 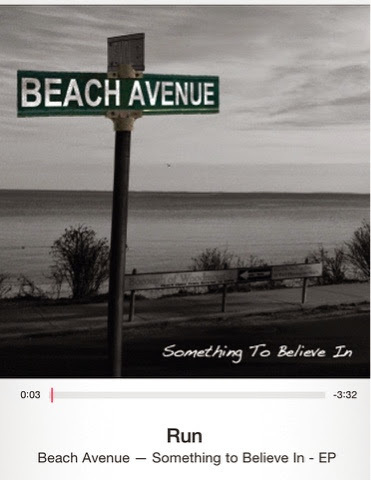 I've found some new songs today, which is awesome! Thanks so much for sharing some of your faves and I hope you have a great weekend! Some cool choices. Some I havent heard so I'll be giving them a listen today. Thanks for sharing. Love finding new music. I loved your list today too! "Bringing booty back!" thanks for linking up and for the birthday shout out :) i love love love that all your songs (except the bonus song) have the word run in them! awesome. Haven't heard any of these songs...will have to check them out...enjoy your weekend! Your style of music is right on point with mine. Great songs!!! Love it! YAY! Have a great weekend! Ha, you're not the only one to jam out to Run It Back Again. It is really catchy and gets you motivated! I haven't heard some of these other songs, I'll have to check them out! Thanks for sharing! LOL! Gotta love us some catchy Disney! i LOVE sick puppies...like unreal amounts. if you're never listened to "All The Same" i suggest you do. I just listened! I LOVE it! Ohhhh, a lot of new ones for me! Thanks for the heads up! I've never even heard of most of the songs that people are listing. Yes, I do live under a rock LOL. Nice way to mix it up with songs with "Run" in the title! I'll check these songs out! Thanks! Thanks! I was trying to be creative! I have a different Sick Puppies song on my lifting mix. I'll have to check that one out. 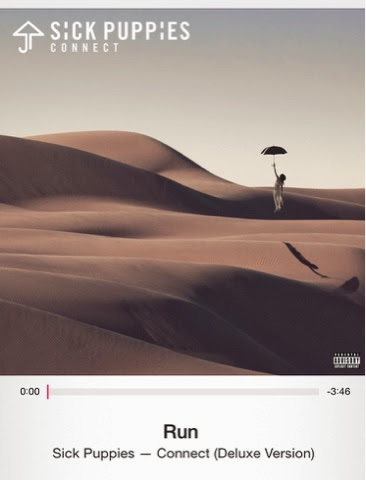 Love the spin you put on this! I haven't heard a lot of these songs either, so thanks for opening my my eyes, I mean… ears!